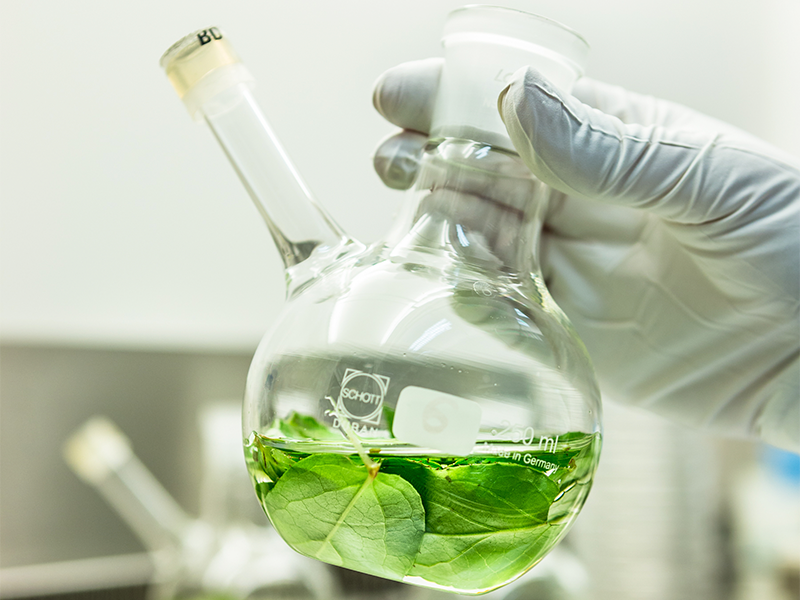 Phyton Biotech develops and applies sustainable “green technology” manufacturing solutions for phytochemicals through its award-winning and proprietary Plant Cell Fermentation (PCF®) process. The impact of this revolutionary technology is exemplified by Phyton’s environmentally responsible paclitaxel manufacturing process. Taxol® (manufactured by Bristol-Myers Squibb) is an important drug used to treat many types of solid tumor cancers and Kaposi’s sarcoma. It is on the World Health Organization’s List of Essential Medicines, the most needed medicines in a health care system. The active pharmaceutical ingredient in Taxol® is paclitaxel. Paclitaxel was originally isolated from the bark of the Pacific yew tree Taxus brevifolia, though the active pharmaceutical ingredient is present only in small concentrations in the bark. The initial production of paclitaxel depended on the extraction of large quantities of bark from the rare and extremely slow growing Pacific yew tree, which severely endangered its population. Paclitaxel was later able to be produced through full chemical synthesis, but the process was not commercially viable due to the low yields and high requirements for toxic solvents. Today, virtually all paclitaxel manufacturers rely on semi-synthesis starting from 10-Deacetylbaccatin-III, a paclitaxel precursor extracted from plantation-grown yew trees. However, the environmental impact of this process is still significant due to the need for large monoculture yew plantations and significant amounts of toxic solvents for purification and semi-synthesis. Given the urgent global demand for paclitaxel, Phyton set out to develop a more sustainable method for producing the API that was “greener” and did not depend on plantation or extraction of yew trees from the wild. The company successfully developed its patented PCF® process, which is recognized as the most sustainable and environmentally responsible method of producing paclitaxel and which offers superior quality and reliability that other methods cannot. Phyton’s manufacturing process is independent of plantations or wild collection of plant material and their related environmental impacts and unpredictability of supply due to fluctuating yield and quality, environmental calamities and climate or pathogen-related risks. Phyton uses a cryopreserved cell bank as key starting material which is stably stored and can be propagated virtually infinitely, saving precious yew trees. The fully contained fermentation process is operated in stirred-tank bioreactors adapted from standard fermentation technology but requires significantly less energy than classical fermentation processes. Paclitaxel produced by PCF® has a much cleaner impurity profile compared to extractions from whole plant material, largely simplifying purification. In addition, Phyton uses resin-based capturing of paclitaxel from the plant cell culture, omitting any use of solvents at this stage. Phyton’s PCF® process reduces the overall solvent usage by 80 – 92 % and avoids any hazardous solvents versus other commercial manufacturing processes for paclitaxel, including semi-synthesis from plant-extracted 10-Deacetylbaccatin-III.